The new CEO for Glaxo, Emma Walmsley, has attracted a lot of attention. Thats fine but most of teh comment seems to be because she is also a woman! You would think that after two women prime ministers gender should not be an issue? 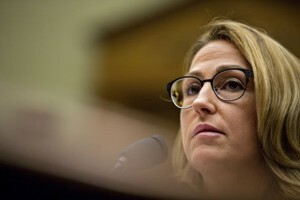 Let’s hope that she does not experience the problems of her fellow CEO at Mylan, Heather Bresch, who has managed to attract massive abuse for raising the price of Mylan’s epi pen product by several hundred percent. As a result she spent several hours in front of a US congressional committee. She suggested that a generic version would solve the issue – reducing the price apparently had not occurred to her. It seems that the statement of the profit margin on the epi-pen, requested by the congressional committee, has been submitted with the profits reduced by the full standard USA tax rate instead of the actual rate paid by Mylan. This reduced, according to the Los Angeles Times, the profit by 60%.